This past weekend, the Edinboro Fighting Scots women’s volleyball team captured three wins in their first appearances at home during the Rebich Investments Invitational hosted at McComb Fieldhouse on Friday and Saturday. After playing at the USI Double Tree Invitational Aug. 24-25, the team sat at 2-2 overall. And with their three wins at the tournament this weekend — versus Davis & Elkins College, Glenville State College and Lock Haven University — Edinboro currently sits at 5-2. The Fighting Scots took on Lock Haven on Friday night to begin the weekend. Although Lock Haven led by four total digs in the game, the Fighting Scots would lead in points, assists, kills, aces and blocks. Many of Edinboro’s best players in the game were freshmen or sophomores, including sophomore Cierah Jackson, who was a leader in kills (8), aces (2) and blocks (3). This follows a strong 2017 freshman season. “I want to beat my co-record from last year; I want to get better at defense and blocking, and [in] trying to play six rotations as an outside hitter,” said Jackson on what she looks to improve on this season. 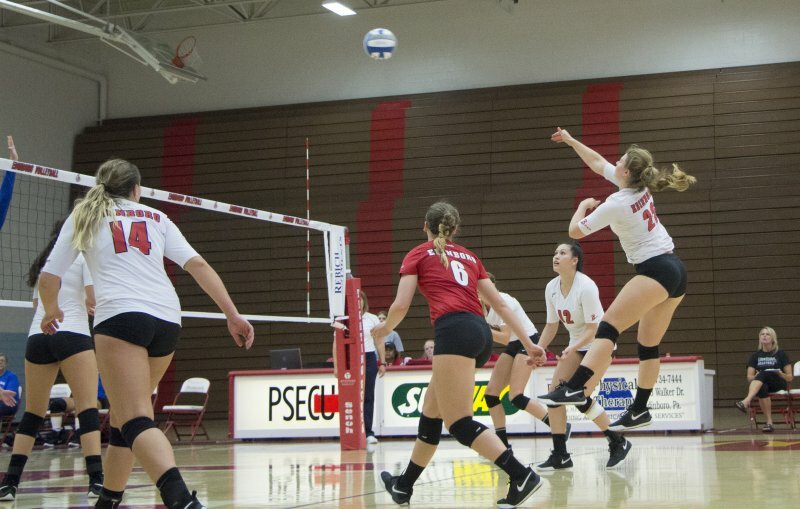 After three aggressive matches, Edinboro took the win on a 3-0 sweep (25-19, 25-23, 25-20). 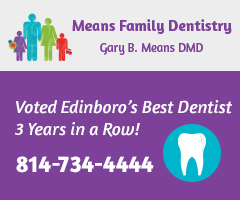 Edinboro played once again at noon on Saturday against Davis & Elkins College, taking the game 3-1. Davis & Elkins won the first game (25-18), but the Fighting Scots would come back to win the last three (25-16, 25-14, 25-23) of the match. Edinboro led in kills in the match, with their leading players in the category all being underclassmen. Jackson had nine kills, freshmen Alicia Eldridge had eight and Sally Sterkel led with 15. She was named the PSAC Northwest Athlete of the Week on Tuesday. ‘Boro also led in points, assists and digs for this match. Jackson said that the team’s success has relied upon the young and inexperienced players stepping into big roles and accepting the responsibility that comes along with it. For their third and final match of the tournament, Edinboro would earn another 3-0 sweep, this time against Glenville State College. Due to Lock Haven and Davis & Elkins College’s game going into a fifth match, the start time of the final match of the tournament was pushed back almost an hour. This did not prove to be a problem for either team, though, as they both started out strong in a 25-20 game. 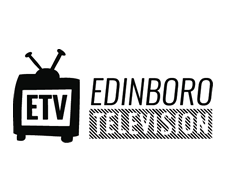 The consistency and aggression of both teams continued into the second game as Edinboro would win 25-21. Senior Megan Screptock led the team in kills (13), aces (3) and digs (14). 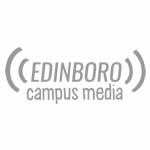 The final game ended at a 25-12 score, as Edinboro’s first home tournament of the season came to a close.